Beautiful 2 story home with 1800 square feet of living space and an unfinished walk out basement with pellet stove and plumbed for additional bath. If you need additional living space, add a family room or bedroom in the lower level. This home has beautiful curb appeal. 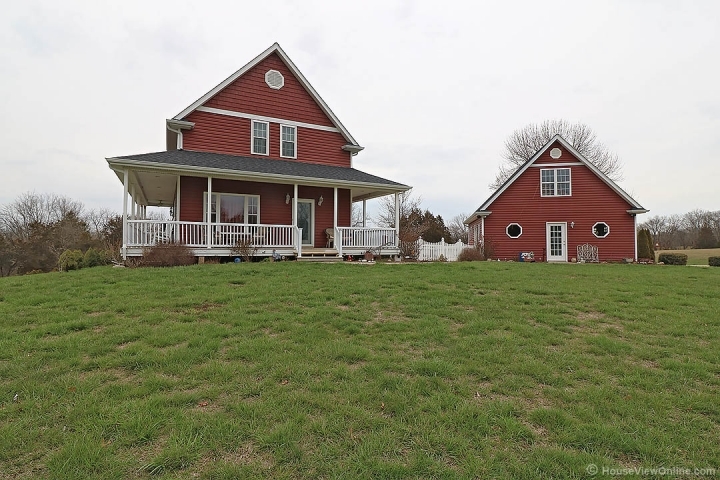 The home sits on 5 acres and has a detached garage. The main level has a spacious living room, large kitchen with lots of cabinets and an adjoining dining area and bath with laundry hook up for main floor laundry. The upper level has a large master suite, with walk in closet and bath with separate tub and shower. The additional upper bedroom is large and could possibly be converted to two bedrooms. This home was well constructed with 2 x 6 walls, dual zoned heat & airs, some hardwood & ceramic tile floors. You will be in awe of the beautiful 3 sided wrap around porch for relaxing rain or shine. The home's location provides easy access to Highway 67.